The Suashish Group commenced jewellery manufacturing in 1993 and with this the dual goals of capturing a larger wallet share and evolving the portfolio of products and services were addressed. The company now has 4 factories in Mumbai, India with a capacity to manufacture over 2 million pieces every year. Product Strength – Our strength lies in understanding our clients’ diverse and evolving preferences. 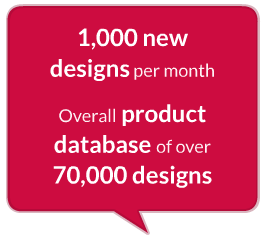 Our designers in India and China create roughly 1,000 new designs per month and the overall product database is over 70,000 designs. Quality - We are obsessed with delivering quality! A three tier system is set up when it comes to quality assurance at the factories. A centralised quality inspection team is set up which oversees all finished products. An independent quality assurance team is also set up which inspects all products again right before being dispatched. Close to 10% of the entire work force at Suashish is involved directly with quality maintenance.